Cash is a safe bet, and you don’t have to take your chances with a buyer who needs to jump through hoops to get a mortgage loan to buy your property. But is the cash offer always the right deal for your home sale? The first thing you need to address when you receive an offer is how strong the Las Vegas buyer is financially and how likely they are to close. A cash offer is always worth considering, because a failure to obtain financing is the main reason why deals fail to close. In the era of strict lending criteria, some buyers no longer qualify for a mortgage. In other scenarios, lenders quash the financing because the appraisal figure comes in lower than the purchase price. There’s no lender with a cash offer, so both of these risks are eliminated. 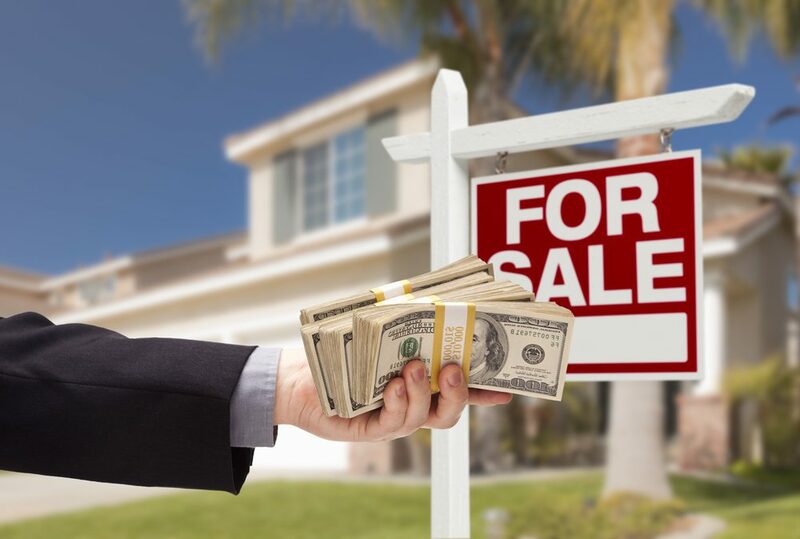 Most cash buyers come from investors looking to flip your property for a fast profit, according to recent research by Goldman Sachs. Investor offers almost always come at a deep discount. You can take the all-cash offer, and it’s a safe bet that you’ll get your cash at the end of the day. But that cash may be considerably lower than your home’s market value; by 20 percent or more in some cases. How Big a Risk is the Financed Buyer? Many buyers come to the table prequalified for a loan. But prequalification letters are not created equal. Some lenders will take the time to verify the borrower’s financial picture; others will take a few details over the phone and make a decision. It’s up to the seller and his agent to decide which prequalification letters are credible. Better still, your agent can insist that offers come with a mortgage preapproval. Preapproved buyers have passed the bank’s extensive financial checks, including checks on his credit rating, earnings and debt-to-income ratio. Based on these checks, the lender makes an actual credit decision – which means that the borrower is good for the money he is borrowing. It’s not cash, but it’s the next best thing. The best offer is a cash offer at full asking price with no contingencies and closing in two weeks. Unsurprisingly, these offers don’t come along very often. Often, the seller must choose between a discounted cash offer and a higher financed offer. Which one is better depends on a host of factors: whether the financed buyer is preapproved, the contingencies required, how quickly the buyer can close and whether there are other sweeteners on the table, such as the buyer picking up your closing costs. View the offer holistically, as there’s a lot more to it than the price. Either way, don’t be pressured by your agent or anyone else into choosing the quick cash sale. You have the final say and should take the time to choose the offer you prefer. Discuss this in full with your Las Vegas Real Estate Agent. The decision is yours, but will be able to educate you on the process.